A proper Fort McMurray pressure washing can do much more for your property than you might think. Pressure washing does not just chip away at existing stains but treats them at the source. Instead of dulling the stains around your property, get rid of them with our Fort McMurray pressure washing service. Different areas of your property are more at risk for manmade staining while others are at the mercy of nature. For example, high traffic areas near to your property, like decks and patios are subject to paint stains and spills while concrete is up against algae. The same removal methods won’t always work for both types of discolouration, so it is important to know what you are up against. Luckily, our Gorillas have been around the block and are experienced in all sorts of marks and stains. Taking that experience and combining it with extensive training in removal techniques, well there is nearly nothing that our Gorillas can’t handle. 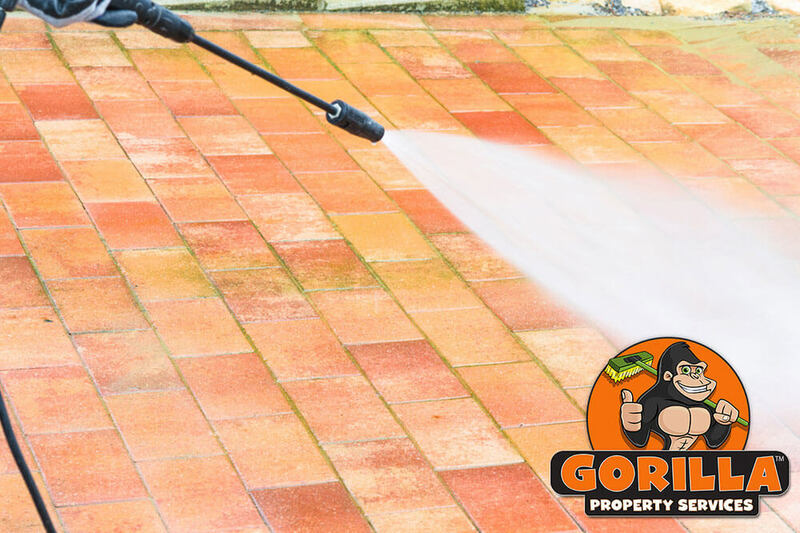 When you call in a Gorilla for your Fort McMurray pressure washing service, you are getting more than a simple spray down. Approaching your stains with power tools can do a lot more harm than good! That is why our Gorillas treat your property according to condition and material. Treating weathered or brittle materials requires a bit more care than newer or concrete areas. First things first, stains are treated with an eco-friendly disinfectant agent. Once this cleaner is settled, any loosened materials are brushed away. With superficial discolourations out of the way, our Gorillas can fire up the pressure washers.